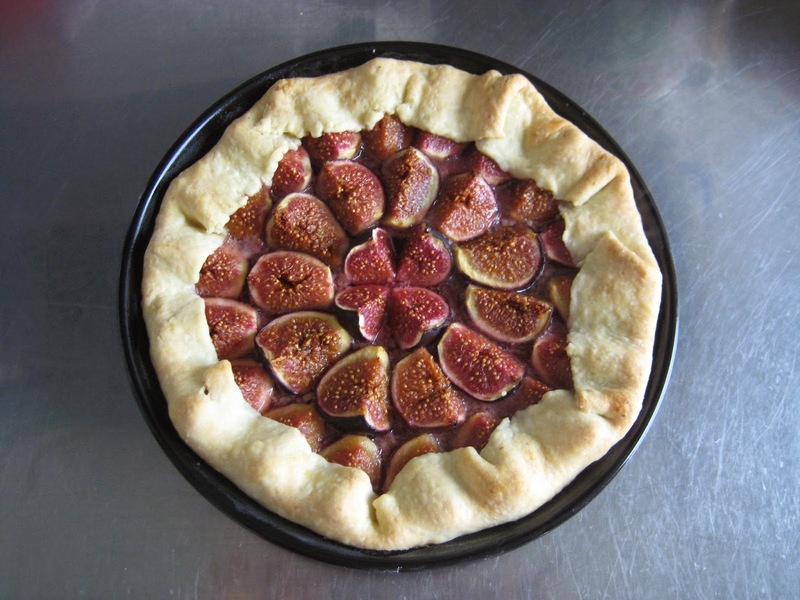 I finally found nice ripe figs at the supermarket so I was able to replicate this tart that I like to make every summer. 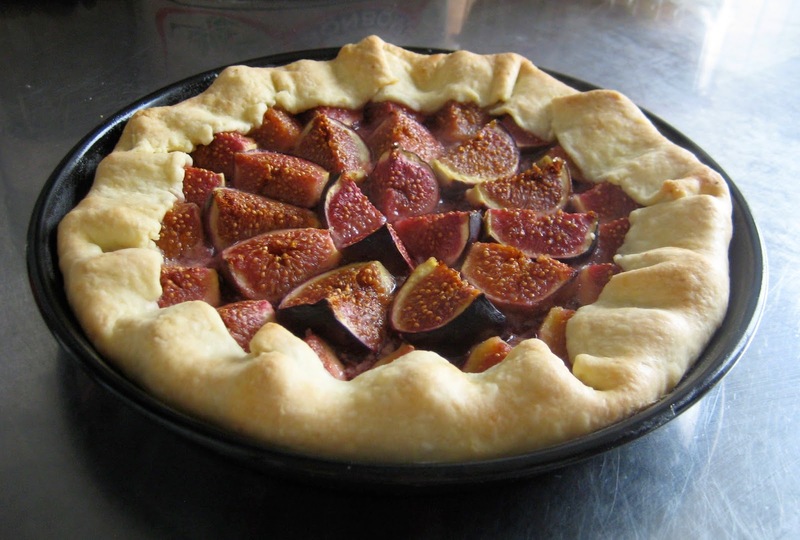 Baked figs will melt in your mouth and if you had a small scoop of vanilla ice-cream it will add a very nice contrast. Enjoy! 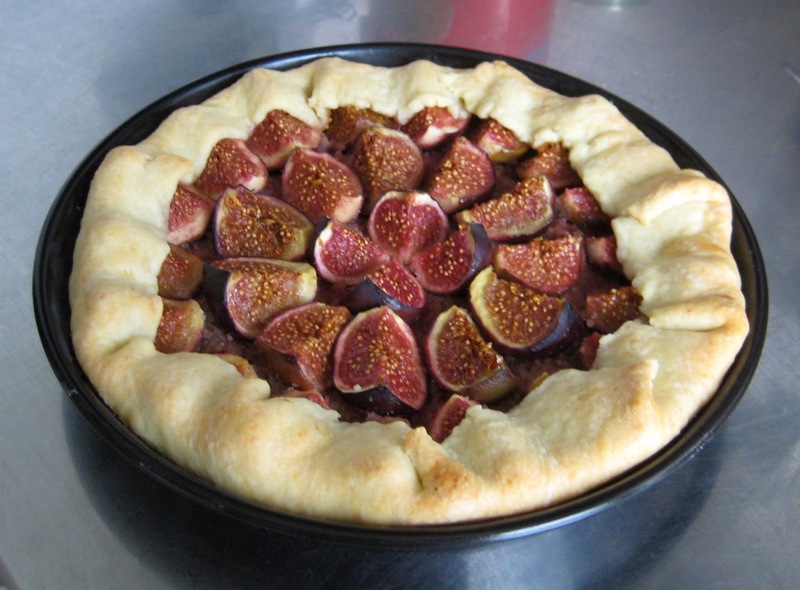 Prepare the shortcrust dough as previously described and refrigerate it for at least 30 min. 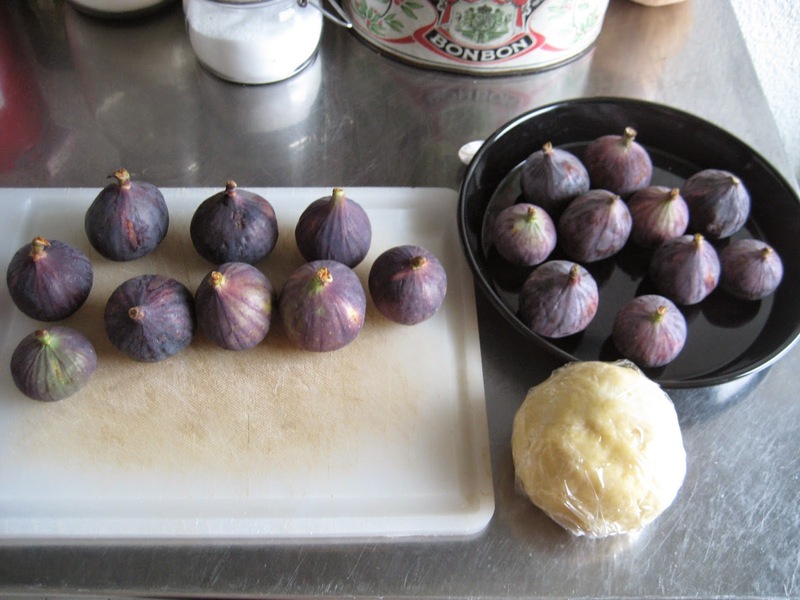 Wash figs, cut away the top and cut in 4 quarters. Roll out the dough (approx. 4mm thick) and transfer to a buttered and floured tart pan. 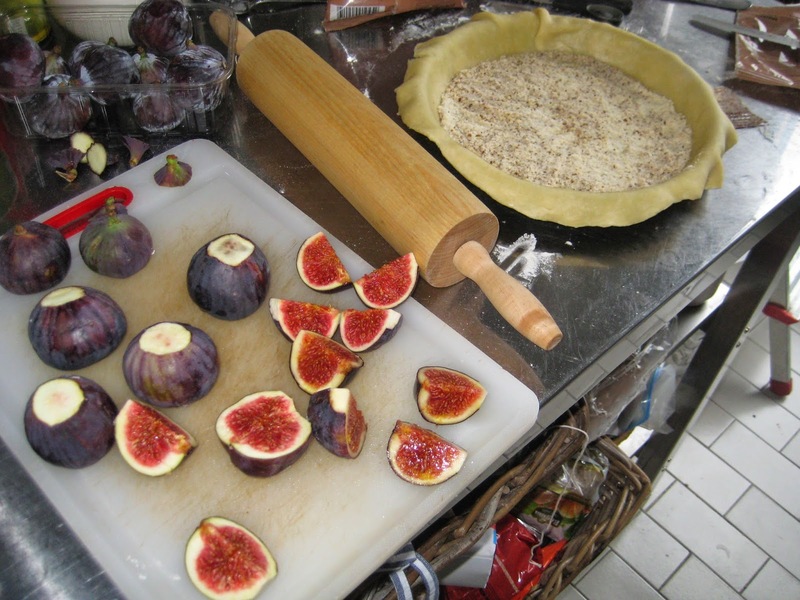 The dough has to be relatively bigger than the tart pan such that you can fold the edges over the fruits! Cover the dough with some ground almonds. 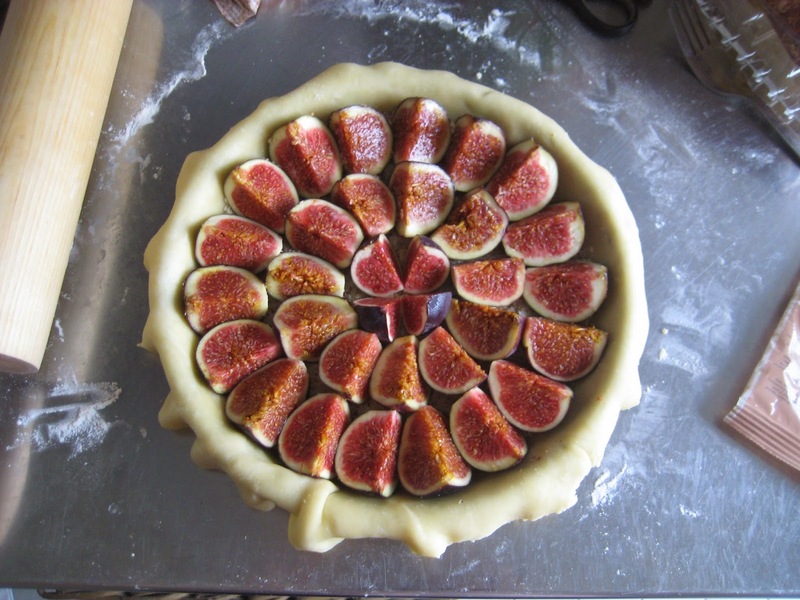 Place the fig quarters geometrically on top and sprinkle them with some brown sugar. 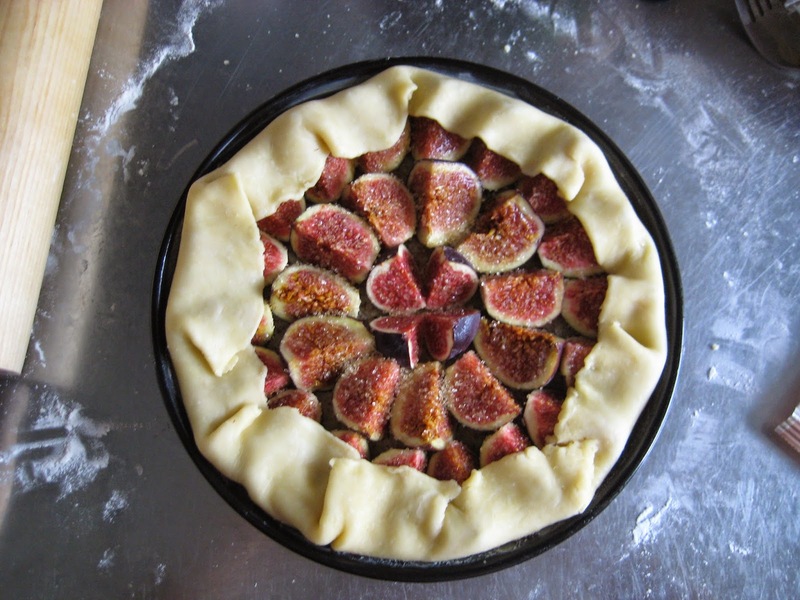 Fold the dough edges on the first row of figs. Bake approx. 30 min at 200 C. Enjoy the tart warm, it will melt in your mouth!